Denise Solomon (Ph.D., Northwestern University) has conducted groundbreaking research on communication experiences in personal relationships, such as support and conflict, that enhance or erode well-being. Dr. Solomon developed relational turbulence theory, which describes how transitions in romantic relationships promote relationship qualities that polarize cognitive, emotional, and communicative reactions to both ordinary and extraordinary experiences. Relational turbulence theory has been used to gain insight into how people experience breast cancer survivorship, cope with infertility, and navigate post-deployment military family life. She is author, along with Jennifer Theiss, of the textbook Interpersonal Communication: Putting Theory into Practice. She is a Fellow of the International Communication Association, and, in 2012, she received the Outstanding Mentor Award from the International Association for Relationship Research. She earned her B.A. from Lewis & Clark College (1987), and her M.A. (1990) and Ph.D. (1992) in Communication Studies at Northwestern University. 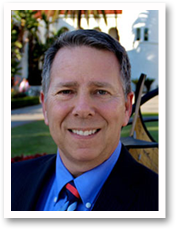 Brian H. Spitzberg (Ph.D., University of Southern California) is Senate Distinguished Professor of Communication at San Diego State University. He is the 2012 “Alumni Achievement” honoree for the College of Professional Studies and Fine Arts at SDSU, the 2011 honoree of the National Communication Association Larry Kibler Memorial Award, the 2015 NCA Interpersonal Communication Division’s “Gerald R. Miller Book Award” winner and the 2009 honoree of the Western States Communication Association Scholar Award for lifetime contribution to the discipline and association. Dr. Spitzberg is author or coauthor of over 100 scholarly articles and book chapters, and has coauthored or co-edited several scholarly books on communication competence, conflict, aggression, stalking, and the dark side of communication. He earned his B.A. from the University of Texas at Arlington (1978), and his M.A. (1980) and Ph.D. (1981) in Communication Arts & Sciences at the University of Southern California. Anita Vangelisti (Ph.D., University of Texas) is interested in interpersonal communication among family members and between romantic partners. Her current work focuses how communication affects, and is affected by, emotions and interpretive processes such as attribution. Dr. Vangelisti has published articles in journals such as Communication Monographs, Human Communication Research, Journal of Personality and Social Psychology, Personal Relationships, Family Relations, Journal of Adolescent Research, and Journal of Social and Personal Relationships. Having previously taught at the University of Iowa, Dr. Vangelisti currently teaches courses at the University of Texas at Austin on communication in personal relationships, family communication, communication and emotion, empirical research methods, and interaction analysis. Dr. Vangelisti has published several books and is presently working on two more volumes. She has received the Bernard J. Brommel Award for Outstanding Scholarship in Family Communication from the National Communication Association, the New Contribution Award from the International Society for the Study of Personal Relationships, and the Franklin H. Knower Article Award from the National Communication Association. Dr. Vangelisti was associate editor of Personal Relationships, edited the ISSPR Bulletin, and has served on the editorial boards of over a dozen journals. Please click here for video footage of the 2016 Knapp Award Ceremony honoring Anita Vangelisti. Alan Sillars (Ph.D., University of Wisconsin) is Professor of Communication Studies at the University of Montana, where he has taught since 1986. His research examines communication and conflict in families and close relationships, with a central focus on sense-making processes and sources of misunderstanding that underlie communication patterns during relational conflicts. Sillars received the Franklin H. Knower Award from the National Communication Association in 1999 and 2005 for the best article published on interpersonal communication, along with the Bernard J. Brommel Award for outstanding scholarship in family communication. He served as Editor-in-Chief of Communication Monographs and was a long-serving Department Chair and President of Faculty Senate at the University of Montana. Sillars held previous appointments at West Virginia University and Ohio State University, and, reflecting a secondary interest in intercultural communication, was visiting scholar at Kumamoto University (Japan), Fudan University (People’s Republic of China), and Massey University (New Zealand). Leslie Baxter (Ph.D., University of Oregon) is Professor and Collegiate Fellow in the College of Liberal Arts & Sciences at the University of Iowa. 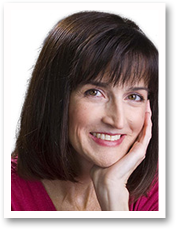 She is known throughout the world for her expertise on family and relational communication. Leslie’s research focuses on communication in friendship and romantic, marital, and kin relationships. She is particularly interested in applying quantitative and qualitative analysis to study the contradictions that face relationship parties in their communicative practices. Leslie originated the influential relational dialectics theory, and is the author, along Barbara Montgomery, of the authoritative book Relating: Dialogues and Dialectics, which won the 1997 Gerald R. Miller Book Award from NCA. 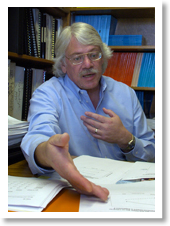 Baxter served as President of the Western States Communication Association in 1997, and has served on the editorial board of over a dozen scholarly journals. In addition to the Knapp Award and numerous other honors, she won the Outstanding Book Award from the Family Communication Division of the National Communication Association in 2011 for Braithwaite & Baxter (Eds. ), Engaging Theories in Family Communication. 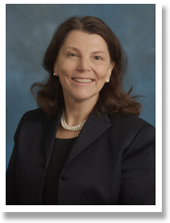 Sandra Petronio (Ph.D., University of Michigan) is a Professor in the Department of Communication Studies at Indiana University-Purdue University, Indianapolis and Core Faculty in the Indiana University Center for Bioethics in the School of Medicine. 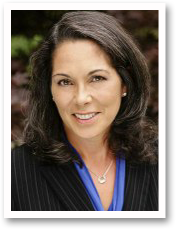 She is internationally recognized as an expert in the areas of privacy, disclosure, and confidentiality. 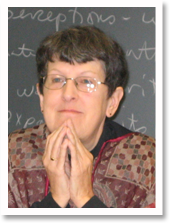 Sandra developed the influential Communication Privacy Management Theory, and her book, Boundaries of Privacy: Dialectics of Disclosure won the 2003 Gerald R. Miller Award of National Communications Association and the 2004 IARR Book Award from the International Association for Relationship Research. Sandra completed her B.A. in interdisciplinary social science from The State University of New York at Stony Brook, and her M.A. in social psychology and Ph.D. in communication from The University of Michigan, Ann Arbor. She has previously been a faculty member in the Hugh Downs School of Human Communication at Arizona State University and in the Department of Communication and School of Medicine at Wayne State University in, Detroit, Michigan. She is past president of the International Association of Relationship Research and the Western States Communication Association. In addition to the Knapp Award, Sandra has received the prestigious National Communication Association Bernard J Bromme Lifetime Award for Excellence in Family Communication Scholarship and Service (2003). 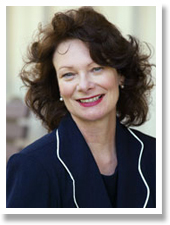 Mary Anne Fitzpatrick (Ph.D., Temple University) is the founding Dean of the College of Arts and Sciences at the University of South Carolina. She is an internationally recognized authority on interpersonal communication, and is the author of over 100 articles, book chapters, and books. The NIH, NIMH, and the Spencer Foundation have supported her research, and Mary Anne travels internationally to consult with government and educational institutions about her research. Fitzpatrick held the WARF Kellett Professorship, one of the highest honors that can be bestowed upon a faculty member. Mary Anne has been an active member of the Council of Colleges of Arts and Sciences (CCAS) since 1983, and in December 2011 she was nominated as the CCAS President-elect. In 2012, she was named a fellow of the American Association for the Advancement of Sciences (AAAS). 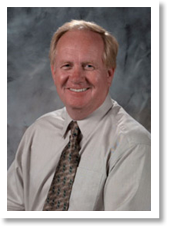 A past President of the International Communication Association (ICA), Fitzpatrick received its 2001 Career Achievement Award for sustained excellence in communication research. In 1993, she was elected an ICA Fellow, one of only 25 in the world at the time. Michael Roloff (Ph.D., Michigan State University) is a Professor of Communication at Northwestern University, where he joined the faulty in 1978. He is currently the co-editor of Communication Research and directs a committee of the Northwestern University Institutional Review Board (IRB). Roloff’s research interests are in the area of interpersonal influence with courses and publishing related to persuasion, change management, organizational change, and bargaining and negotiation. He has co-edited four research volumes: (1) Persuasion: New Directions in Theory and Research, (2) Social Cognition and Communication, (3) Interpersonal Processes, and (4) Communication and Negotiation. Roloff also wrote Interpersonal Communication: The Social Exchange Approach. 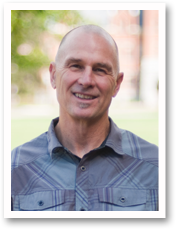 He was co-recipient of the Woolbert Award for Outstanding Contribution to Communication Research from the Speech Communication Association and he is the winner of a publication award from the Social Cognition and Communication Division of the National Communication Association. In 2009 he was named a fellow of the International Communication Association and a Distinguished Scholar of the National Communication Association. Michael Roloff has been the Chair of the Interpersonal Communication Division of the National Communication Association and is currently Director of the National Communication Association Publications Board. Brant R. Burleson (Ph.D., University of Illinois, Urbana-Champaign) is a Professor of Communication and an Affiliate Professor of Psychological Sciences at Purdue University. His research examines supportive forms of communication (such as comforting) and their effects on varied forms of well-being, and focuses on how people both produce and process supportive messages. Other research interests include communication skill acquisition and development, the effects of communication skills on relationship outcomes, and the role of emotion in communication and relationships. 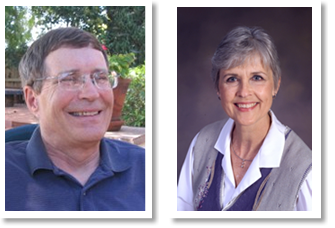 He has authored more than 140 articles, chapters, and reviews, and has edited several publications, including The Handbook of Communication and Social Interaction Skills, Communication of Social Support, and Communication Yearbook. He is a Fellow of the International Communication Association, a Distinguished Scholar of the National Communication Association, and a recipient of the Berscheid-Hatfield Award for Distinguished Mid-Career Achievement from the International Association for Relationship Research. Please click here for video footage of the 2010 Knapp Award Ceremony honoring Brant Burleson. 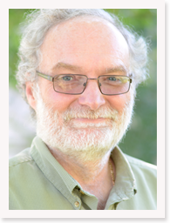 Howard Giles (Ph.D., D.Sc., University of Bristol) is Professor (and past-Chair) of Communication at the University of California, Santa Barbara (with affiliated positions in Linguistics and Psychology). His research is in the general area of intergroup communication and accommodation, with a particular cross-cultural interest in intergenerational encounters as well as police-civilian interactions. Founding Editor of the Journal of Language and Social Psychology and the Journal of Asian Pacific Communication, and past Editor of Human Communication Research, he has been Past President of the International Communication Association and the International Association of Language & Social Psychology. Furthering one of his intergroup research interests, Giles is a Reserve Lieutenant (with many outstanding local and State service awards over his currently 14+ year career) in the Santa Barbara Police Department and is on-call 24-7 for their Crisis Negotiation Response Team. Charles R. Berger (Ph.D., Michigan State University) is Professor in the Department of Communication at the University of California, Davis. He is a former editor of Human Communication Research and was a co-editor (with Sandra Ball Rokeach) of Communication Research. Charles is a Past-President and Fellow of the International Communication Association and a Distinguished Scholar of the National Communication Association. His ongoing research interests concern message production processes and the role rational and intuitive information processing systems play in modulating responses to hazards and threats depicted in anecdotal and statistical message formats. Judee K. Burgoon (Ed.D., West Virginia University) is Professor of Communication and Professor of Family Studies and Human Development at the University of Arizona. She is also Director of Human Communication Research for the Center for the Management of Information and Site Director for Center for Identification Technology Research at the university, and currently holds an appointment as Distinguished Visiting Professor with the Department of Communication at the University of Oklahoma, and the Center for Applied Social Research at the University of Oklahoma. She has published over 240 articles and 7 books. Among the theories that she is most notably linked to are: Interpersonal Adaptation Theory, Expectancy Violations Theory, and Interpersonal Deception Theory. Copyright © 2019 by the Mark L. Knapp Award in Interpersonal Communication.